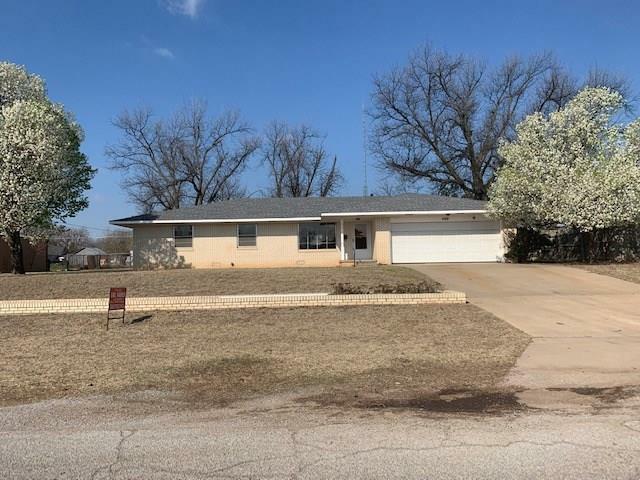 409 S Louis Tittle Avenue, Mangum, OK.| MLS# 858334 | CENTURY 21 Altus Prestige Realty, Inc. Check out this beautiful brick home! Located on two large lots (almost half an acre), has been recently updated and ready for a new family to call home. This home features a large living area, three spacious bedrooms, two bathrooms, large kitchen and dining area with sliding doors to the back yard. The backyard has pecan trees, cellar, two storage buildings, and a large barn with alley access. The backyard is chain link fenced, perfect for pets or gatherings. Recent updates include: new ceiling fans, paint throughout, carpet, tile, toilets, and much more! This home would be perfect for a family needing lots of space and storage or those that love to entertain!